You can now get 2 for 1 tickets via O2 Priority app. The 4 code words are in the first post. Once you complete the on line form with your email address, you receive an email containing a link with your unique code and links to book your tickets. Won't waste my time this time. Very dissappointed after the Chessington blunder where they only offered term time weekday tickets which was never mentioned anywhere. I may have is it too late now? if not let me know i'll dig it out for you. I’m 1 code short. Anyone got a spare code from between 23rd !arch to 1st April? Anyone have all of the codes and can post on here please? i have enough codes for 4 tickets but not sure how I could claim these for 4 tickets on the same day - is it possible? I do have a question though .. Collected 2 lots of newspapers each day and used a family members address so I was able to get 4 tickets (2 adults, 4 year old and 20 month old) The tickets can be used to admit an adult or child. Obvs only 3 of our tickets will be needed as the 20 month old is free. Does anybody know if you are able to just use the 1 free ticket and not have to use both? Obvs it will mean a wasted ticket. But it saves paying about £30 for a child ticket. how did folks find it this time? able to get tickets? These code words do not work anymore, Should this be expired? does anyone have a list of the most recent ones? online code = NEWFIVE for those, like me, with poor eyesight. PAGE 29 of todays Sun Newspaper has a coupon for £1.00 off PG tips decaf tea.. I get my paper free from Mccolls when u purchase anything.. I buy a 10pence chew stick.. I'll give that a go too. I tried sainsbury's brand decaf and it tasted rubbish. Same with the lidl one. Save 30p on decaf tea was it worth posting. Nver heard of Thompson's before, but will have a look in Sainsbury's. Cheers. I can highly recommend Thompson’s decaf. £2.00 per box at Sainsbury’s (online), £2.60 Ocado, £3.20 direct from Thompson’s (when you order six boxes). Distributed via The Sun, Sun on Sunday, Times, Sunday Times on Sat 3rd -Sun 4th November. Voucher valid from Saturday 03.11.2018 to Friday 09.11.2018 . That's alright then but to label all sun journalists as scumbags is daft that was Kelvin McKenzie who didn't like scousers. How much is the paper guys? Just as well I bought my paper in Aldi today then. He’s just taken over BRITISH MILITARY FITNESS (BMF) and renamed it BE MILITARY FIT with a new logo and got rid of the Lion much to the (mad) annoyance of many BMF devotees. Dumbing down the brand and the work ethos. :| apparently. Wouldn't have anything to do with anything that he's attached to. Two animals killed on his Island show for 'entertainment' and he now wants to build a shark prison in this country. He should stick to 5 star hotels. Tips on which 5 star hotel to stay in which on expedition from the expert ex weekend SAS adventurer. OP .. it was a good offer, despite it being voted cold at the time. You've gone on quite a tangent there. If you really want to place no emphasis on the morality of what you're buying (The Sun having delivered 3 decades of trauma on Hillsborough survivors &amp; their families), then that is your prerogative. But it isn't mine. In answer to your other points. I upgraded my phone this year. The last time I had a new phone was 3.5 years ago. I cycle rather than drive. I do take flights to places, but try to offset that by being a veggie. It's difficult in this world to make choices that are morally/ethically sound. But we're talking about buying something you don't need (The Sun) in order to get something you don't need, a coffee. It doesn't require overanalysis or pretty ridiculous comparisons to other things we do need far more. The Ignis French Grain vodka (Grey Goose/Belvedere knock-off) is available all year round, so fill yer boots :) Was £15.99 last time I saw it a few weeks ago (Glasgow stores), so not sure if English stores still sell it for £13.99. Know this is an old post, but in case anyone's still reading it, does anyone have tickets for half term next week that they might want to swap by any chance? I've got 4 tickets for the Monday 22nd October, but we can't make that date now. Our 2 boys would still love to go, we could do the Wednesday, Thursday or Friday (24th, 25th, 26th) if anyone fancies going on the Monday....? No it wasn't, very cold &amp; wet!! Long back booked for 6th Oct, whole day raininng, Two rides stopped in between, MIa and Ninga Go, Crew has manually evacuted People from rides once Rides hault. 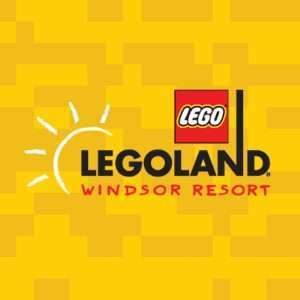 No Rainy day return policy from Legoland , Pathetic Policy. Not a good day to be there today !!! This is an old thread now but for anyone still following, our tickets worked fine today! Anyone got any spare Sun Codes??? Any spare codes that anyone can spare? Currently destroying a box of these. Really sweet and I like that they are all weird shaped and not uniform. Hot. Rocket gardens have a good selection of plug plants... You'll get the bare-root versions, just dig em into the ground or a pot. Almost any fruit or vegetable you'll want to grow they usually have it, month depending..... It would probably be hard to find strawberry plants this time of year I think though, unless they're late harvest variety, because most have already started fruiting. Mine already have more fruit sprouting than I know what to do with! Does anyone have codes for 23rd, 24th and 25th June please? Thanks @ toto123, booked and paid for! Any one has a spare ticket for Saturday, 4th Aug here that I am happy to buy off you? Anyone here have any spare codes from last week? I was away and couldn't pick up a copy. Can you buy nine papers on one day? I wanted to take my daughter next Tuesday but only just seen this so too late to collect nine different days now. Yes please I need a Alton towers sun saver code? March 18/ 24/25/26/30/31 just need 1 ? The Sun is the UK’s most famous tabloid newspaper, setting the news agenda with its current affairs coverage and keeping track of developments in the world of celebrities and professional sport. The paper began life as a broadsheet in 1964, when the owners of the Daily Herald sought to reinvent their failing title. However, things really started to change when the Sun was purchased by Australian media mogul Rupert Murdoch in 1969. After that point, the focus was on bringing news to the masses and providing more entertainment coverage. The size of the paper was reduced to its familiar tabloid format, and circulation exploded. Since then, the Sun has remained true to Murdoch’s ideas, providing down-to-earth news coverage and content that appeals to the British mainstream. Accessible, a little bit rebellious and irreverent, the Sun continues to be the UK’s most popular daily paper. Where Can I Buy The Sun? You can purchase the Sun from virtually every UK newsagent and news stand, or arrange to have a print copy delivered to your door every day of the week. 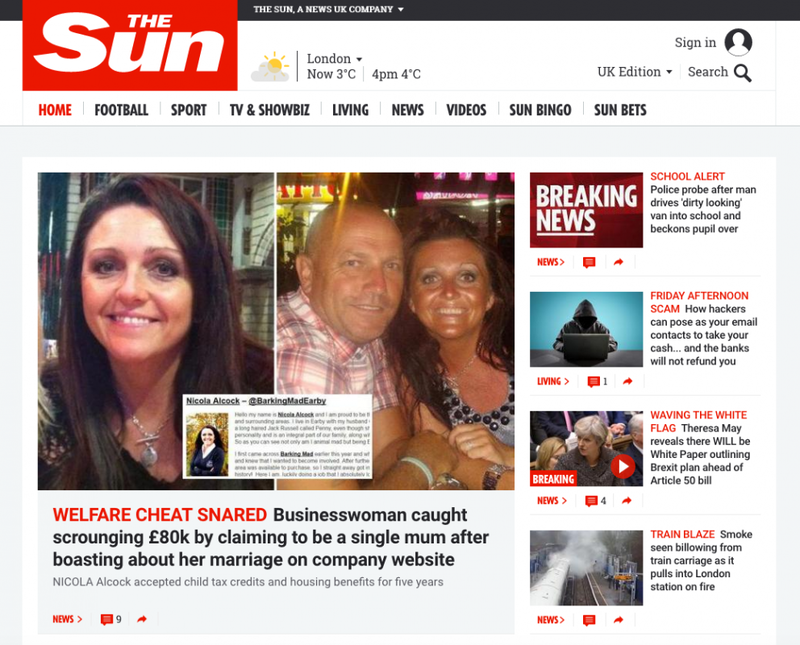 Alternatively, you can log onto www.thesun.co.uk, where you can access a range of free news content and extra member services like Sun Bet and Sun Bingo. News - The Sun’s UK and world news section. Features special sections on Politics, UK News, World News, Tech and Science and Opinion. You’ll find plenty of topical videos and comment sections to provide your own opinion to the conversation. Football - The Sun’s speciality is providing up to the minute football coverage, with a strong focus on the Premier League. There are also sections devoted to the Champions League, international football and the EFL. Sport - A general sport section, including coverage of horse racing, rugby union, boxing, tennis, cricket, WWE, MMA and NFL. TV – Showbiz & Celebrity news from the world of modelling, music and movies, with popular columns like Bizarre and Popcorn, as well as the day’s most recent reviews. Living - Featuring recipes, property news, real life stories, the Dear Deirdre agony aunt column, Sun Mums, travel articles, financial coverage, health content and Fabulous, the Sun’s beauty blog. Videos - A special section including video content created or sourced by the Sun’s team. 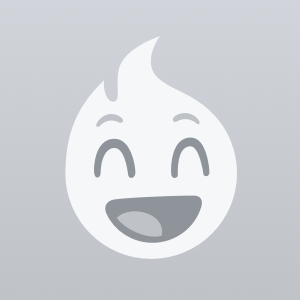 Sun Bingo - Play online bingo from 10:00-22:00 every day for real cash prizes. Sun Bets - Place bets on sports like horse racing, football, tennis and greyhounds, with special offers, in play betting and professional tips from the Sun’s betting team. If you’d like to sign up for a daily tablet subscription to the Sun, you can do so via www.thesun.co.uk. Just head to the "Sign up to the Sun" link at the front page, and you’ll be taken to a payment page where you can buy access to the Sun’s “Classic App”. With that installed, you can read the Sun’s latest content on all major tablet models, wherever you are. You can also sign up for a print subscription via the Deliver My Sun website. In this case, you’ll need to search for a newsagent that stocks the Sun. 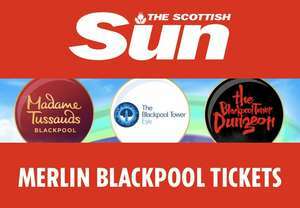 The Sun will then send you vouchers that can be redeemed at your local newsagent for a print copy of the newspaper. For the first 12 weeks, the Sun provides a free subscription. After that point, you’ll need to pay your newsagent for every subsequent copy. Your vendor will lead you through the process of setting up a regular payment for delivery after the twelfth week. When you sign up with the Sun, the paper accepts the following payment methods: PayPal, Visa (debit and credit), MasterCard (debit and credit). All payments will be protected by MasterCard and Visa’s own verification systems, to protect against cybercrime. The Sun regularly offers discounts for purchases of its print and tablet edition, but it doesn’t have a specific offers section on its website. Instead, the best way to keep track of current discounts is by bookmarking the Sun’s HotUKDeals listings, where any deals will be shown as soon as they are announced. When you sign up with the Sun, you’ll be able to comment on articles and buy the tablet edition, but the benefits go beyond that. 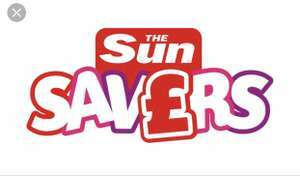 You can also take advantage of the Sun Savers scheme. Under this loyalty scheme, readers need to collect 28 consecutive codes that are printed in the paper, scanning them on their smartphone as they go. When you’ve collected 28 codes, you can cash them in for £5. To get started, you’ll need to download the Sun Savers App, which can be found for iOS and Android devices. If you have signed up for the Sun’s tablet subscription, cancellation is simple. To end your deal, go to the Sun website and click the “My account” link. Now, enter your login details and go to your account console. You should see your tablet subscription listed under your current purchases. Just click the cancel subscription link and your subscription will cease at the end of the current month. When you purchase a subscription, you are entitled to a full refund up to 14 days after the beginning of the deal. After that, your rights to a refund are waived, so act fast if you feel that the Sun isn’t for you. 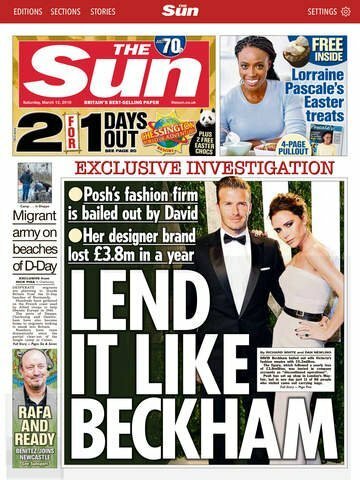 To claim a refund, contact the Sun’s customer service team at: feedback@the-sun.co.uk. The Sun offers a free mobile app which provides up to the minute celebrity, current affairs and sports news, and is available for iOS and Android devices. With the app installed, you can read star columnists and advice columns, find out the latest football transfers and even watch the Sun’s videos. You can also sign up for the Sun Classic app, which provides a classic tabloid style edition for tablet devices, as well as a special Sun Bets app, to help you wager on sports events, wherever you are. It can also be downloaded for Android and iOS devices. If you have a simple enquiry about how to use the site, how to download apps or order products from the Sun, consult their Help Desk first. The Sun is a mainstay of British culture, selling over a million papers a day and attracting millions more to its online edition. Covering everything from sports to celebrity news and cookery, the Sun is a go-to source of information for UK customers and you can find plenty of deals for the Sun at HotUKDeals.